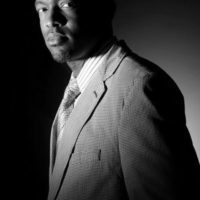 Delonso Barnes is Executive Director of Daddy Everyday Inc., personal development consultant and author of Daddy Everyday, Rewriting The Black American Dad Story, Mommy Everyday, Finding Balance In Motherhood and The Better YOU. Barnes is a husband and father of two boys, Kendrick and Dylan. As a speaker empowering black fathers and their communities, he has created the Daddy Everyday mobile app and several family-themed live events.